Pressed fruit & ginger root juice shot. 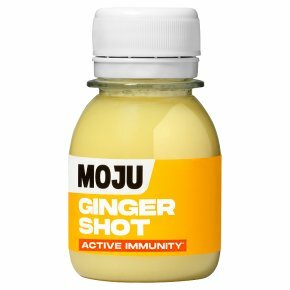 17.7g of raw ginger root in every bottle. No added sugar. Nothing artificial. No preservatives. Cold-pressed. Fully recyclable packaging. Vegan. The 'needs no introduction' ingredient - Mutha Nature's star player. This is unlike ginger you've tasted before. We juice it straight from the root - unadulterated, raw fiyah. Shoot one before and after meals or as your daily bedrock.